In this first edition of a two-part series, we’re looking ahead to the coming men’s basketball seasons all over the Chicago area. We’ll also look at the upcoming women’s basketball seasons in the coming days. While the NBA isn’t playing yet, there is a wonderful opportunity for basketball fans of all ages to see great action all over Chicago starting the first week of November. On Saturday, Nov. 5, the DePaul Blue Demons will begin their 2011-12 season at 7:30 PM at McGrath-Phillips Arena. DePaul will host Lewis University in their home opener. For DePaul’s complete schedule, click here. To buy tickets to a Blue Demons men’s basketball game, click here or call (773) 325-SLAM (7526). The Northwestern University Wildcats will host an exhibition game against Robert Morris on Monday, Nov. 7 before officially beginning their 2011-12 season at Welsh-Ryan Arena on Sunday, Nov. 14 against Texas-Pan American. For Northwestern’s complete men’s basketball schedule, click here. To buy tickets to any Wildcats’ home game, click here. The University of Illinois-Chicago begin their 2011-12 season on Wednesday, Nov. 2 at the UIC Pavilion. UIC will host the University of Chicago for an exhibition game at 7:00 PM. UIC will host Roosevelt on Nov. 16 at 7:00 PM in their regular season home opener. For UIC’s complete men’s schedule, click here. To buy tickets to a Flames men’s basketball game, click here or call (312) 413-8421. The Loyola University Ramblers begin their 2011-12 season in Champaign against the University of Illinois. Their home schedule begins on Saturday, Nov. 26 with a 3:00 PM matinee against Fordham at Gentile Arena. For the complete Ramblers’ men’s basketball schedule, click here. To buy tickets to any Loyola home game, click here. On Saturday, Nov. 5, the Chicago State University Cougars hosts Roosevelt in a 2:05 PM matinee at the Jones Convocation Center. 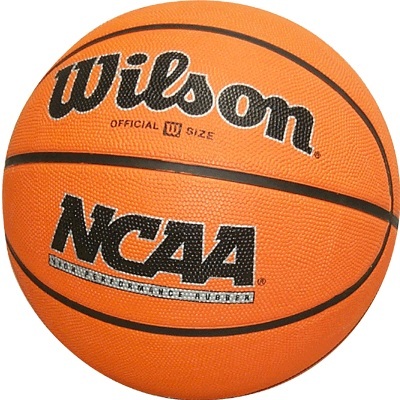 For the Cougars’ complete men’s basketball schedule, click here. Tickets cost between $4-$8 and can be purchased either at the event or by calling (773) 995-2295. After opening their season at UIC, the University of Chicago hosts Dominican on Tuesday, Nov. 15 at 7 PM. Individual game tickets for University of Chicago men’s basketball are available at the door one hour prior to the game’s scheduled starting time at the following prices: $4 for adults, $3 for adults holding a valid Chicago Card, $2 for school-age children (ages 6-18). Children 5 and under are admitted free. For the Maroon’s complete schedule, click here. This entry was posted in Sports and tagged basketball, Big East, Big Ten, Chicago State Cougars, DePaul Blue Demons, Loyola Ramblers, NCAA, Northwestern Wildcats, UIC Flames. Bookmark the permalink.